A curious blog post appeared on the official blogs on Wednesday, March 9th, 2016. Entitled [Tips and Tricks from the Community] Video: Lighting Tutorial from Brookston Holiday, it appears in the Tips and Tricks section of the blogs. As the name suggests, it features a video tutorial by Brookston Holiday (aka ProMaterials) in which he provides an introduction to using the viewer’s in-build tools and options for producing lighting effects, including projectors (which I’ve covered myself). If you’re unfamiliar with using the tools, it’s a handy introduction. I call this a “curious” post not because of the content – as the author of the post notes, SL users are generally the best placed when it comes to demonstrating capabilities in the viewer and techniques for achieving a desired result. Rather, I find the post curious because it is the first time anything has been posted to Tips and Tricks in almost four years – the last item having appeared back in June 2012; and even that came with just over a year’s gap between it and the preceding post. So are we seeing a revival of the Tips and Tricks section of the blog in the form of a new regular / semi-regular series, or just a one-off post? Right now, your guess is as good as mine. That being the case, I’ll leave you with Brookston’s tutorial. Wrecks, which opened on Monday, March 7th, is the concluding element of a two-part immersive art installation created by Gem Preiz, the master of the high-resolution fractal landscape. It’s a piece, together with the initial part of the installation, Vestiges (which you can read about here), is presented under the over-arching title of Heritage. Vestiges, which opened in January, examined the first part of this statement: looking at the heritage passed down through the ages. We were cast into the role of archaeologists examining past (or perhaps even alien) civilisations; those which had come before us, as who influenced our existence. With Wrecks, Gem poses a question to us: what are we going to bequeath to those generations that follow us? The inspiration for Wrecks comes from the recent global summit on the threat of climate change held in Paris at the start of 2016, and what will happen if we continue to ignore the warnings nature is giving us as to the consequences of our continued abuse of the planet’s ecosystem, presenting one possible future our descendants might face. 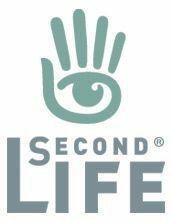 Thus we are taken on a journey into the 22nd century, and a vision of a world which has come to ruin directly as a result of our failure to act responsibly. We become a part of the crew and passengers aboard what is perhaps the last vessel capable of leaving Earth in the hope of finding a new home far out within the Kuiper Belt. This voyage takes the form of a physical journey through 15 rooms, each one with one of Gem’s magnificent fractal pieces standing together with a journal entry. Some of the latter appear to be from passengers, other are clearly from the crew. All make soulful reading: personal fears, anguish, melancholy, even despair, at all that has come to pass, founded on a lament for an Earth thoroughly ruined by the hubris and folly of humanity. What if, as one entry hints, as the space vessel Orpheus transit the Moon, we had heeded the gentle warnings of the first astronauts to stand on those desolate plains, only to look back at Earth and recognise it as a fragile, precious jewel of life suspended in a coal-black sky? Meanwhile, the images serve to both underline and also counterpoint the essence of the text. While the landscapes and scenes presented may appear desolate and shattered, so to do they remind us that humanity and nature are powerfully creative forces: what might come from us combining our inane abilities with those of nature, rather than simply putting our needs before those of nature? If this sounds an overly dark piece, rest assured it isn’t. Rather it is a layered, nuanced piece which aims to get us thinking about matter of ecology, climate change, and our relationship to this one cradle of life we have: Earth. Yes, there is the warning that if we don’t mend our ways, if we fail to act responsibly towards this fragile environment surrounding us, then we are ushering in the potential of ruin and heartache for future generations. But so to is there a message of hope; a reminder that it is not yet too late. Just as the crew of the Orpheus, in the final chapter of their voyage, find the means to return to Earth, to reunite with those left behind and offer a way to recover and restore the planet, so to are we reminded that there is still time. We can still take the firm, committed step of ceasing our self-centred denials, excuses and procrastinations and decide we will act more responsibility towards this planet, and in doing so lay the foundations by which we can bequeath a rich, vibrant and healthy world to our children and those who follow them. All it takes is a little collective courage. 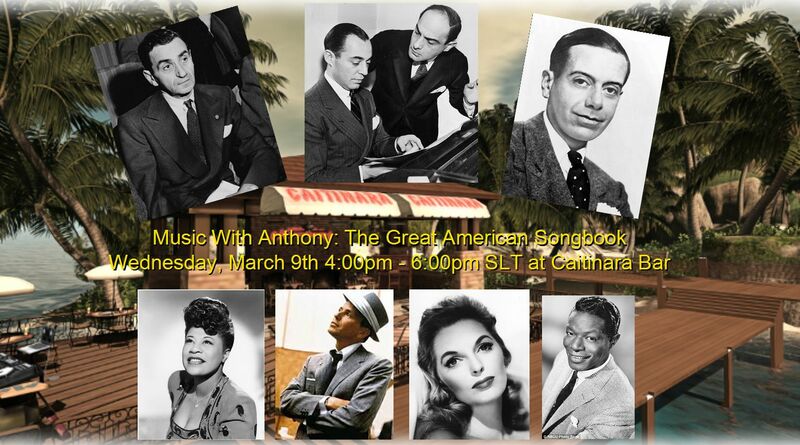 Caitinara Bar will once more be hosting Music with Anthony on Wednesday, March 9th. To mark the return of the series after an absence of a week, Anthony will be presenting two hours of music from the Great American Songbook for your enjoyment from 16:00 through 18:00 SLT. From the 1930s through to the present day, the Great American Songbook has enjoyed unrivalled popularity among singers the world over, and features some of the most enduring and best-loved songs ever recorded. With songs by Gershwin, Porter, Berlin, Kern, Mercer, Rodgers, Hart, Hammerstein and others, sun by legends such as Sinatra, Bennett, Day, Horne, London, Lee, Martin and “King” Cole, these are tune which are instantly recognisable and still loved and recorded today around the world. To mark the theme, smart casual or semi-formal dress is requested. Anthony, Boudicca, Caitlyn and I look forward to seeing you there!